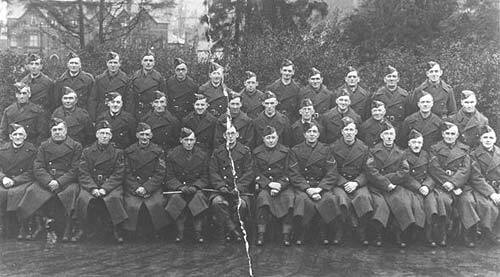 Here, we look at images of Llangollen during wartime and peacetime and see some of the people in uniform who have served both their country and community. 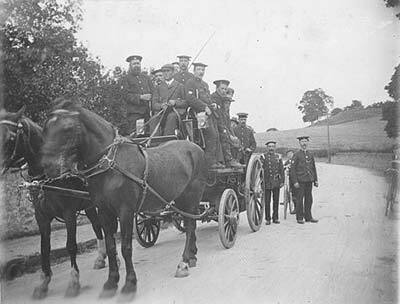 The official Llangollen Fire Brigade was established in 1901 and consisted of 2 Officers and 10 Firemen. The fire station was on Market Street. 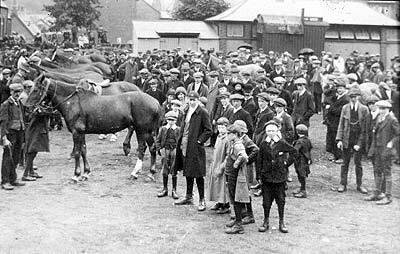 The Horse drawn engine (above) was replaced in 1930 by the town’s first motorised engine (right). 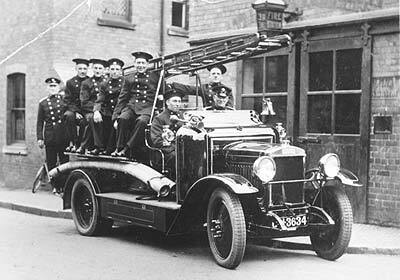 Llangollen Fire Brigade left the Market Street building and moved to Regent Street in the 1960's. 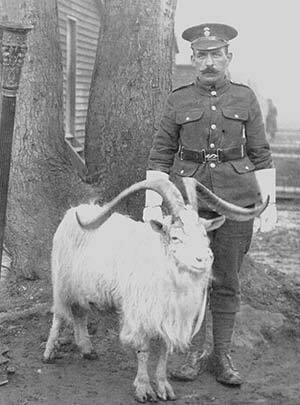 Left - Harry Augustus Thomas was a Goat Major with the Welsh Fusiliers during the First World War. He was a stonemason by trade and lived in Green Lane. 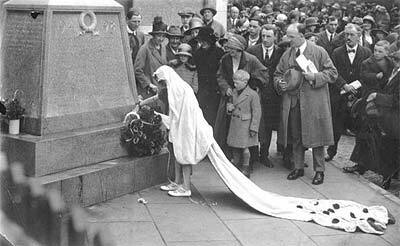 A girl lays a wreath on the War memorial in a service in the 1920s.